My passion as a primary care physician is to provide you with highly personalized care and attention with an emphasis on prevention and wellness. Lifestyle modification is emphasized and medicine prescribed as necessary, the former more effective than most people realize. In my MDVIP-affiliated practice, you will be treated in a warm and welcoming atmosphere, and you will benefit from the full extent of my 30-plus years in private practice. Some of my professional interests and areas of focus include high blood pressure, diabetes, depression and, for select patients, weight loss. As one of the few family medicine doctors in Houston, Texas, offering this personalized healthcare approach, similar to concierge medicine, I provide a level of care that can help patients avoid needless trips to emergency rooms and urgent care centers, which are inherently inefficient and far too expensive. Also, knowing you well enables me to get right to the source of the problem without becoming bogged down in excessive and meaningless data entry requirements. I do not use a computer when seeing patients. My primary care practice is located in Houston, Texas, and currently serves West Houston, The Energy Corridor, The Memorial Villages, Alief, Katy, Sugarland, Spring Branch, Bear Creek and Cypress. I am affiliated with West Houston Medical Center and am fluent in English and French. he has spent answering questions has been much appreciated. The enhanced service and care provided by MDVIP has been very evident by the actions my physician. He has been very responsive and thorough during my Wellness evaluation and the extra time he has spent answering questions has been much appreciated. I am alive that says it all on behalf of Dr. Patterson. Dr. Patterson has been man primary care doctor for decades. 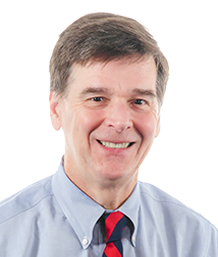 Dr. Patterson has been man primary care doctor for decades. Even before joining the MVIP program, he was responsive, caring and effective. I have confidence in him and plan to continue in his care. It was great to have Dr. Patterson go over the test results with me. Blood tests have been available for many years. It was great to have Dr. Patterson go over the test results with me.